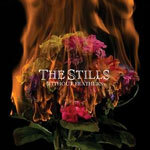 The Stills Biography, Discography, Music News on 100 XR - The Net's #1 Rock Station!!! This Montreal, Quebec CANADA, Alternative-Rock band started out as a quartet in 2000, with vocalist + guitarist Tim Fletcher, guitarist Greg Paque, bassist Olivier Corbeil and drummer Dave Hamelin. 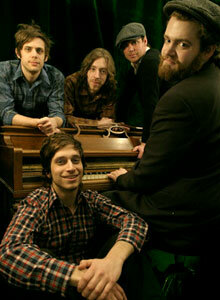 But it was in New York City that the guys found a record deal with Vice Recordings and in June 2003 they offered up a 4-track EP entitled "Rememberese". Thanks to a successful series of shows with bands such as Yeah Yeah Yeahs and Interpol, The Stills became one of the most talked about up-and-coming outfits, then headed into the studio to work on their debut full-length CD, "Logic Will Break Your Heart", which was released in October 2003; it reached the top 40 of the U.S. Independent Albums chart on the back of the alt-Rock radio minor hits "Lola Stars And Stripes" and "Still In Love Song". Before the band went into the studio to record their second album, Greg Paque left the group; keyboard player Liam O'Neil joined as a full-time member, Hamelin is now filling in duties on guitar and a new drummer, Julien Blais, has been brought in to fill the gap. 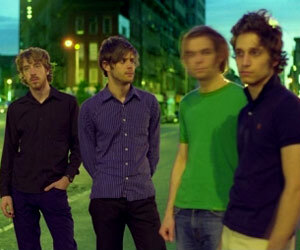 Preceded by the single "In The Beginning", the band's sophomore effort, "Without Feathers", was released in May 2006, it peaked at #18 on the Billboard's Top Independent Albums list. In late 2007, Arts & Crafts signed the band to a worldwide recording deal and in August 2008 The Stills released its third studio album "Oceans Will Rise"; "Being Here" the anthemic lead single, became the band's best performing radio single to date climbing into the top 20 of the Canadian Rock chart. 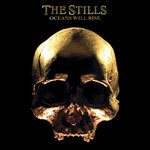 The Stills walked away winners at the 2009 Juno Awards in Vancouver; the band won both awards they were up for: Alternative Album Of The Year as well as Best New Group. 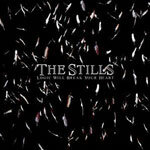 In April 2011 The Stills announced they were disbanding after the better part of a decade together.